Scrappy cartoon mice are as American as baseball, apple pie, and an abiding sense of optimism that somehow endures constant alienation and glaring injustice. 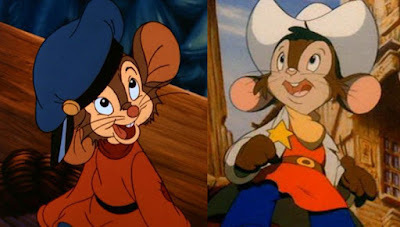 That combination of the wholesome and the serious defines An American Tail, a poignant re-imagining of the immigrant experience from legendary artist Don Bluth and wunderkind executive producer Steven Spielberg that dared to challenge Disney for animated musical supremacy. Just because you find some success in America, however, doesn't mean you relinquish your underdog status. By the release of the sequel Fievel Goes West, Bluth was gone, Disney was ascendant once more, and the Mousekewitz family was still seeking a better lot in life. It was time to change the approach. Brian Rudloff joins us for this special double feature episode, as we try to reconcile two very different films with the same core message: somewhere out there, dreams can still come true. 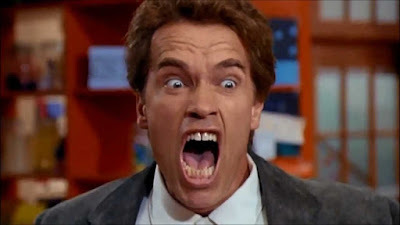 After almost three decades, Kindergarten Cop still represents an aspirational standard for the thespian trapped in a cycle of typecasting: Arnold Schwarzenegger, at the crest of his rough-and-ready muscleman trajectory, poking fun at his brawny persona and spinning it into comedy gold. Real-life educators Daren Sprawls and Ariel Quist Sprawls help us rate the movie's classroom verisimilitude and celebrate its tremendous quotability, evident in its contributions to a classic prank call soundboard. How do six-year-olds stack up against a former Mr. Universe? Why are so many family classics filmed in Astoria, Oregon? Who is your daddy, and what does he do? Find the answers to these questions and much more in this special back-to-school episode!